This level is for everyone who likes photography. Focused on getting the basics right, it opens up the world of photography and the many possibilities that one can explore. Last workshop was held on Sat, 12 Oct . Next workshop will be announced shortly. There are no prerequisites for this Beginner level; only enthusiasm in the art of photography is required. Workshop is divided into easy to grasp modules, complemented by live-demos, in-class exercises and post-class assignments. For personal guidance and to keep the workshop close-knit, two mentors would lead each workshop and the number of participants is limited. We will also hand out some super-efficient cheat sheets that you can keep in your camera bag - handy for many months to come! Mr. Siddharth, is the Director, Education services and has specialization in Industrial photography. He also specializes in Corporate and Editorial Portraiture. Ms. Shalini Sehgal is the Director Operations who specializes in Architectural Photography. Her interests also lay in Industrial and Heritage Architecture. Some of her works have been published in the Council of Architecture journal Time, Space and People, Inside Outside, Better Interiors and Architecture Plus. We have requested Academia Foto to get in touch with you. Alternatively you can speak to Sebastian from Academia Foto at: +91-9819372229 , in case you would like an immediate response. 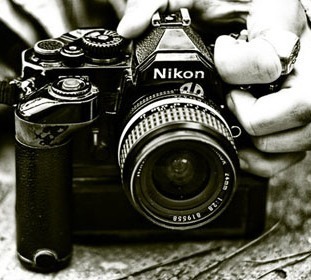 You will now stay updated about, Beginner's Course in Photography.